We are living right in the middle of exciting era of digital revolution which has already completed its first stage by conquering the world with smart devices that we have grown so fond of. Social networks and applications have turned the whole world into one big village where everyone can share their thoughts, views and ideas in an instant, but payment solutions and other industries have been somewhat lacking in this new trend. But not anymore! Digital revolution doesn't leave anyone behind, and currently its main three pillars are cryptocurrencies, Distributed Ledger technology (along with its Blockchain branch) and FinTech, and this conference is dedicated to them. In addition, Initial Coin Offerings are the fourth pillar of this conference as they are the mainstay of cryptocurrency and blockchain start-ups, and thus greatly accelerate their global development and acceptance. Take part in the biggest event of this kind the Southeastern Europe has yet experienced. Professional ​speakers from leading fintech, cryptocurrency and DLT & blockchain companies, start-ups, regulatory institutions, investors, cryptocurrency exchanges, academics, investors, policy makers, financial institutions and enthusiasts in order to not only bring all participans highest value possible, but also provide premium networking opportunities so everyone can connect and share experience and knowledge. Blockchain Technology - Latest developments in blockchain technology, the driver of digital revolution of 21st century, and how will it affect banks, financial, industrial, commercial and government sectors worldwide. 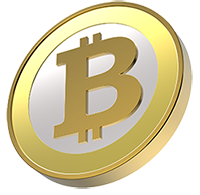 Cryptocurrencies - The new generation of money is slowly sweeping trough the planet. Do not miss out the latest developments in this area, or you will risk to fall behind when they become mainstream. FinTech - Get the latest updates in financial technologies, the driving force in the current innovations in payment solutions. Cryptocurrency Compliance - This is one of areas that leaves most people wondering whether to accept curyptocurrencies or not. Find out the latest updates from regional and world experts on crypto compliance exclusively at the event.